Air Power Australia research activities cover air power and broader military research and analysis, especially in the context of a modern integrated joint national force structure. The Air Power Australia Technical Report series address research topics, which typically in scope, depth or innovation are lesser than formal research papers in the APA Analyses peer reviewed journal. Technical Reports and Discussion Papers are thus typically narrower in scope, and often focus on technical intelligence collection and analysis, rather than deeper and more fundamental problems in strategy, force structure, governance and planning. 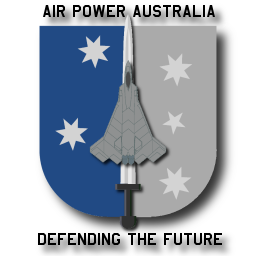 Air Power Australia Technical Reports and Discussion Papers are peer reviewed by the APA Editorial Board, but many have also been subjected to independent external peer review, where this was considered to be warranted for the topic in question.